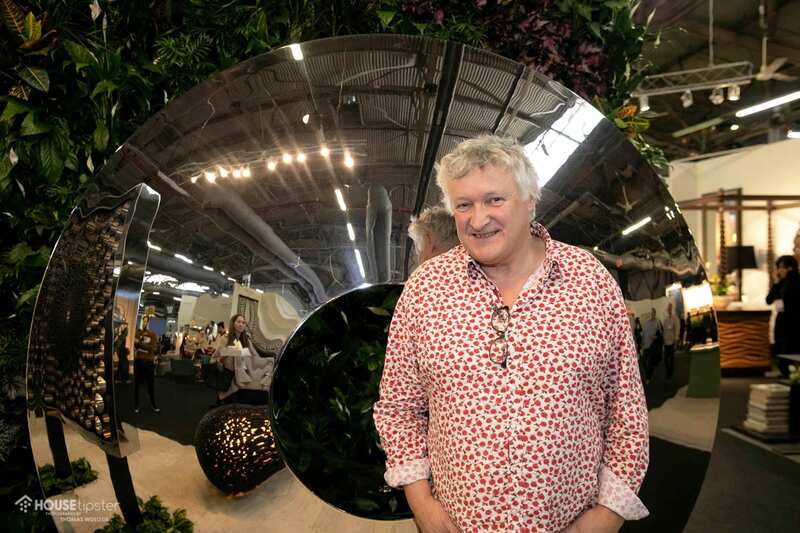 Sculptor David Harber may be responsible for one of the most exciting booths at New York’s AD Design Show 2019, but his journey to become a world-renowned sculpture artist was long and winding. After spending a number of years performing hodgepodge jobs, including running a traveling theater by boat, Harber found himself down on his luck with no money in his pockets and facing eviction from his rental. Instead of going out and looking for a job, Harber took four days to hand make an outdoor sundial on his front porch. As luck would have it, actor Jeremy Irons happened to drive by and inquire about the sale of the piece. This sale didn’t just solidify a long-term friendship between Irons and Harber; it also officially started David Harber’s sculpture business. “Irons told me to enjoy the process and reach for quality,” Harber explained, and he’s done just that out of his Oxfordshire, England headquarters. Here at the AD Design Show 2019, Harber spoke with House Tipster host Yvette Irene about the designs he brought to the show, his third in as many years. 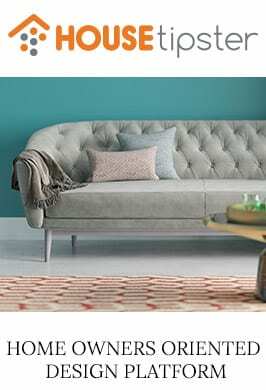 Harber’s Alveare was inspired by nature and resembles a perfect natural honeycomb. The towering sculpture is eye-catching and grand, with hundreds of circles and spirals sequenced in a jaw-dropping display. 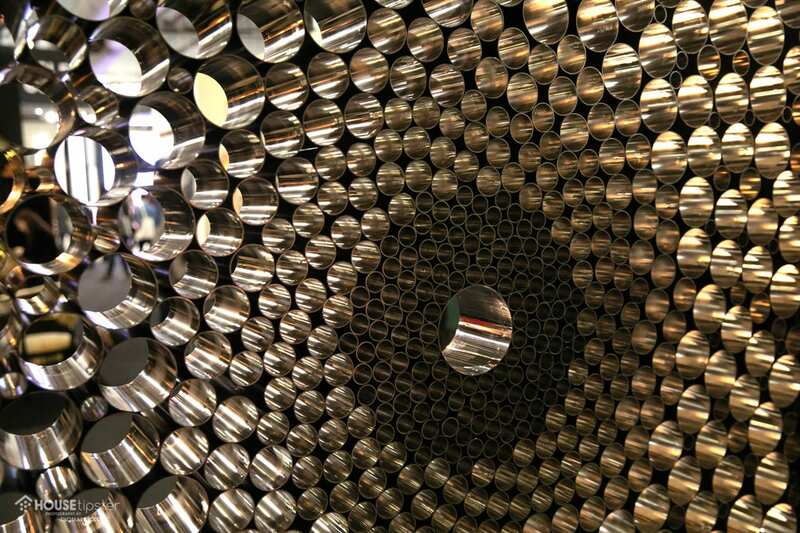 Hidden within the mirror-polished marine-grade stainless steel tubes patterns are Fibonacci spirals. Surprisingly, the piece only took Harber and his team slightly less than a month to make. Referencing a dark planet in the midst of space, Harber’s Dark Planet was another standout sculpture. An interior sodium light illuminates the piece, and accentuates each of the natural, river-washed pebbles hand-selected and placed by Harber. Intricate yet masculine, Dark Planet is the ideal conversation starter. Whether he’s crafting Torus, a “sculpture without an ego,” or a personalized Sundial with custom etching and precise ring placement, Harber is always thinking about ways to make his pieces react with their intended environment. 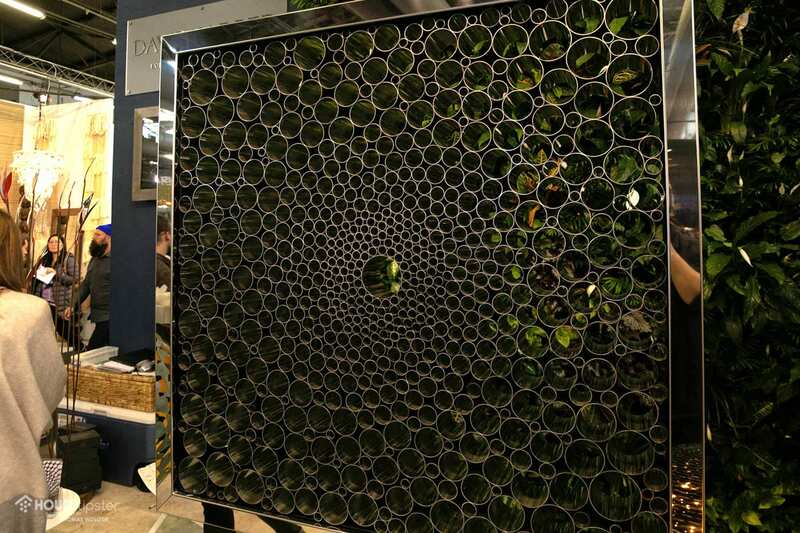 To hear more from our conversation and see an up-close-and-personal look at designs from the show, make sure to check out the exclusive House Tipster Industry LIVE episode we filmed with David Harber. Press play on the Facebook video below to get started. Artists. Manufacturers. Designers. Architects. The AD Design Show 2019 was the ultimate celebration of design. Stay tuned as we bring you more exclusive coverage from the event.